Agents in Alberta are taking a wait-and-see approach with buyers and sellers who are taking their time to make housing decisions with a new NDP government in power and stagnant oil prices. “The summer is what’s going to determine what the market is going to do,” said Duane Ritter, an agent with Re/Max in Edmonton. His comments reflect a recent poll from RBC Canada, which showed that Albertans aren’t panicking when it comes to the state of the economy, but instead are taking the safe route, with 54 per cent of respondents saying that it makes more sense to wait until next year to buy a house, as opposed to plunging into a picture of uncertainty. What’s more, Alberta ranked higher than the national average, which was slightly above the national average of 51 per cent. “Albertans still have confidence in housing as a good investment, but are able to take their time in looking at their needs and wants when making a decision to buy a home,” Trisha Fineza Forbes, senior manager of home equity financing for RBC, said in a news release. The survey also found that 27 per cent of Albertans, and 25 per cent of Canadians, intend to buy a home in the next two years, which is what Ritter is seeing on the ground. With many projects under development, including duplexes, which are at an all-time high in Edmonton, Ritter said, and condos developing Alberta's skylines, the future is looking bright for the province. Nearly half (43 per cent) of the poll's respondents said they believe it’s a buyers’ market right now, and 35 per cent expect house prices to be lower this time next year. 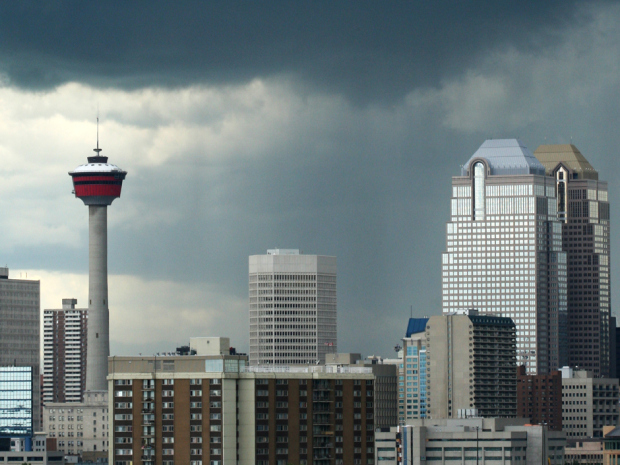 The poll’s sentiment is evident in what’s happening in the Calgary housing market this year. According to the Calgary Real Estate Board, year-to-date, there have been 8,768 MLS sales, down 27.3 per cent from the same period a year ago. New listings have dropped by 6.3 per cent to 16,713. The median price has fallen by 1.2 per cent to $423,000, while the average MLS sale price has dipped by 2.1 per cent to $470,992.